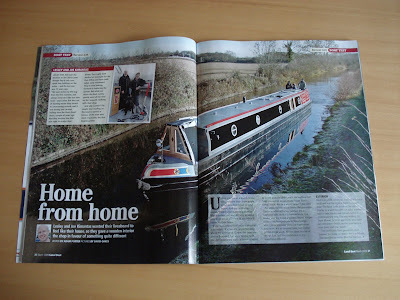 The March Canal Boat is out, and includes my review of Caxton. On this occasion, I knew more or less what to expect from the boat, having followed the build via Lesley's blog. As you can see from the photos, it was a very cold day when we did the test, although the warm welcome from Lesley and Joe made up for it!